“Wise men still seek Him” is a popular phrase on many Christmas cards but it is not reserved for just wise men, Jeremiah 29:13, “And ye shall seek me, and find me, when ye shall search for me with all your heart.” Seeking God is not just for the wise but for all of mankind for every man, woman, boy, and girl is being drawn to God and all we need to do to find Him is to surrender ourselves completely to His call. See the salvation that comes from our Lord and Savior Jesus Christ is for everyone, Titus 2:11 tells us, For the grace of God that bringeth salvation hath appeared to all men”. No matter if your young or old, male or female, whatever your religious upbringing or background, salvation is for YOU! You see the Spirit of God is drawing everyman to himself, it is not His will that anyone perish, but at a certain point the decision to answer His call becomes ours, Jesus Christ never forces anyone to become a believer in Him! It has been said that the salvation that comes from Jesus Christ is totally free and I have to agree, but He does ask one thing of us, that we seek Him with all our heart! When we talk about the heart we are not just talking of the heart that beats within every mans chest, but it is referring to our will, we need to surrender our complete will over to Him. When you do this you will find yourself completely transformed from the inside out, you will try your hardest to please Him, not to earn anything, for we cannot no matter how hard we try, but because we love Him with all our heart soul and strength. 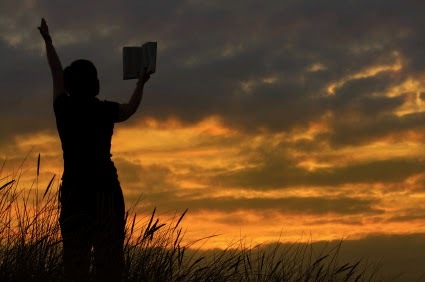 Seeking God with all your heart is not just a one time thing, Psalms 63:1, “O God, thou art my God; early will I seek thee: my soul thirsteth for thee, my flesh longeth for thee in a dry and thirsty land, where no water is;” Everyday and all throughout the day we need to make a conscious effort to seek God’s perfect will for our lives. Behold, I stand at the door, and knock: if any man hear my voice, and open the door, I will come in to him, and will sup with him, and he with me. He’s calling you this day to come to Him, won’t you abandon your own agenda, don’t delay, seek Him this day, seek Him with all your HEART!